LONDON — Police in the English city of Manchester said Tuesday they are treating the New Year’s Eve stabbing of three people as a terrorist incident. Greater Manchester Chief Constable Ian Hopkins said two people suffered “very serious” injuries in the attack and remain in the hospital receiving treatment. A police sergeant who was stabbed in the shoulder has been released. Police have not identified or charged the suspect, who has been arrested on suspicion of attempted murder. An eyewitness said he shouted Islamic slogans during the frenzied attack. 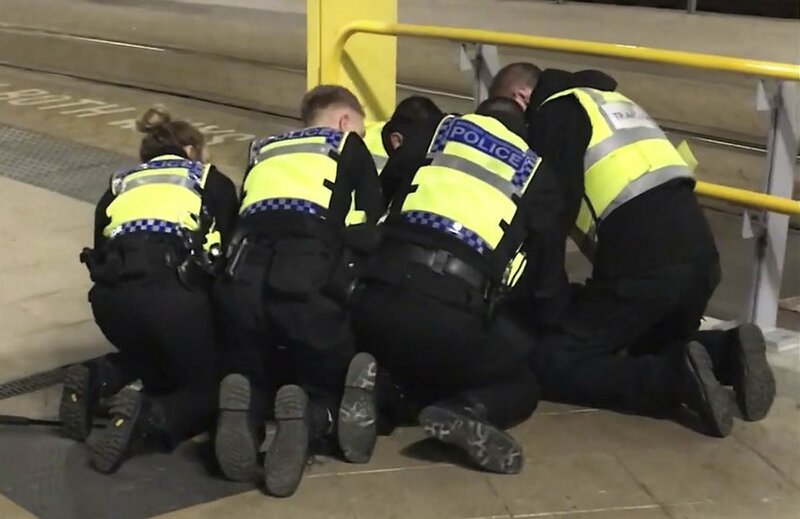 The incident happened at Manchester’s Victoria Station shortly before 9 p.m. on New Year’s Eve. The busy rail station is next to the Manchester Arena, where a suicide bomber killed 22 people at an Ariana Grande concert in 2017. Police tried to reassure the public that the area is safe despite the attack on a night of celebration. Police say there is no indication that any others were involved in planning or assisting the attack. The investigation is being led by Britain’s counterterrorism police. Police say extra officers will be on the streets Tuesday as a precaution. Britain’s official threat level has long been set at “severe,” indicating intelligence analysts believe an attack is highly likely.